Coeliac Sanctuary | Coeliac Blog, Gluten Free Places to Eat, Reviews, and more! Visit our shop for travel cards, wristbands and much more! Not sure what Easter Eggs are gluten free? Check out our list of safe options. Use up your Easter Eggs by making these gorgeous gluten free cheesecake filled beauties, they'd make perfect Easter desserts. Gorgeous gluten free gammon pasta bake is a tomato and chilli sauce and topped with cheese. Coeliac Sanctuary is much more than just a gluten free blog, it is a place to find gluten free recipes which are all created, tried and tested by the owner, Alison, find places to eat safely as a Coeliac via the where to eat guide which is composed of places suggested by other Coeliacs, buy translation cards to explain Coeliac while abroad and so much more. It is a blog with so much more on offer! You really can't beat a good bundt cake at Easter, this gluten free vanilla cake is slathered in chocolate and eggs! Coeliac Sanctuary is owned by Alison, who has been Coeliac since 2014. 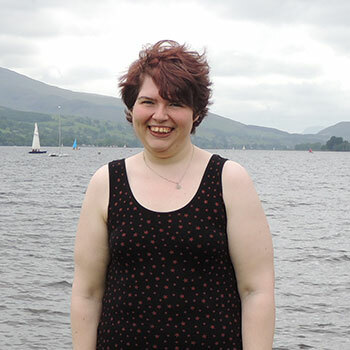 Previously working as a web developer and also having a love of writing, Coeliac Sanctuary blossomed from the tough time she had been through during illness as a way to share recipes, information and keep track of places to eat safely, with a shop added later selling translation cards, wristbands and more.